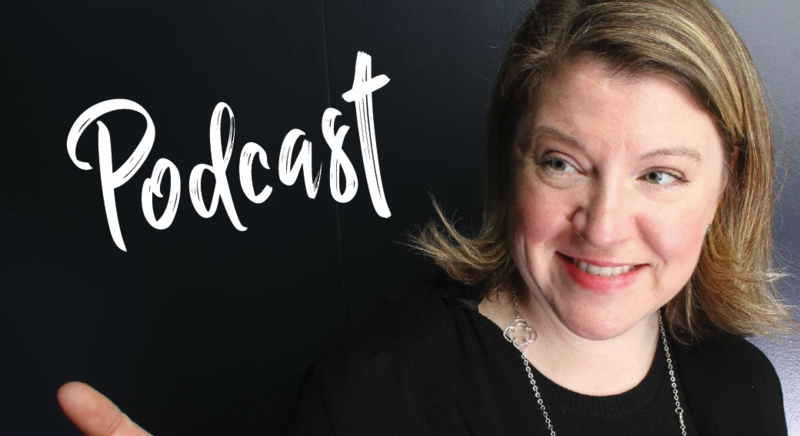 On the latest Conversations with Kustomer Podcast, we discuss creating an emotionally impactful omnichannel customer journey in an increasingly fragmented service and support landscape. We sat down with Jeannie Walters to learn the ins and outs of building a memorable customer journey. Jeannie is the CEO and Chief Customer Experience Investigator of 360Connext. 360Connext specializes in qualitative, human evaluations of the real customer experience through a process called Customer Experience Investigation (CXI). Jeannie is also a Co-Host on the Crack the Customer Code Podcast. Emotion colors every experience we have—whether we realize it or not. Is there a place you shop just because the people who work there are really nice? Or because you’ve had a positive experience in the past with the brand? Maybe there’s a coffee shop or a bookstore where you end up spending way more than you set out to just because of their warm, friendly experience. 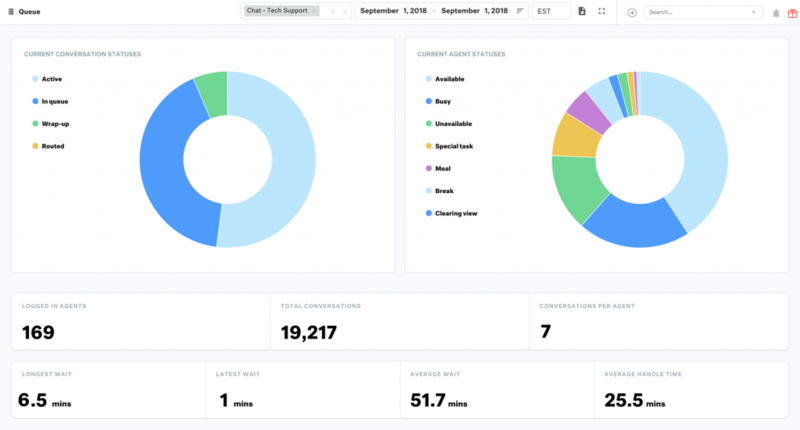 How can customer service and support teams spread that positive feeling when customers are contacting them over the phone, over email, over chat, and across all of these channels and more? It definitely isn’t easy, but it is very possible. What is the process of mapping the customer journey? How do you retain your customers’ trust? How can customer experience professionals use empathy while designing the customer experience? When should you rely on data to design your journey, and when should the process be more intuitive? How can you deliver a personalized experience for each customer? How can customer support organizations improve the experience more proactively? How is this process of mapping the customer journey different for B2B versus B2C brands? For the latest from Kustomer, follow us at @Kustomer on Twitter. Kustomer has just announced it’s newest integration with Amazon Web Services’ Amazon Connect to deliver next-level omnichannel support and experience for enterprises and contact centers. Amazon Connect is the cloud-based contact center voice solution created by Amazon Web Services (AWS) and based on the same technology used by over 70,000 Amazon customer service associates around the world. Kustomer’s integration with Amazon Connect seamlessly pulls AWS’s robust technology into a single convenient timeline view. 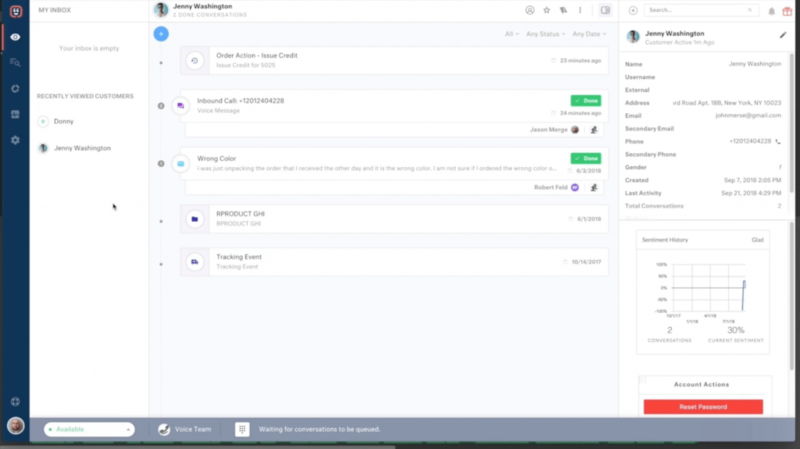 Not only will this help contact centers and support teams deliver a more personal and memorable experience over all of their channels, but agents can stay in a single screen uninterrupted while answering calls. You can see our native Amazon Connect integration in the video below. To see more of our integration in action, register for our webinar on November 15th. Customers expect more personal and convenient experiences, even when they get an automated response after calling your customer service number. 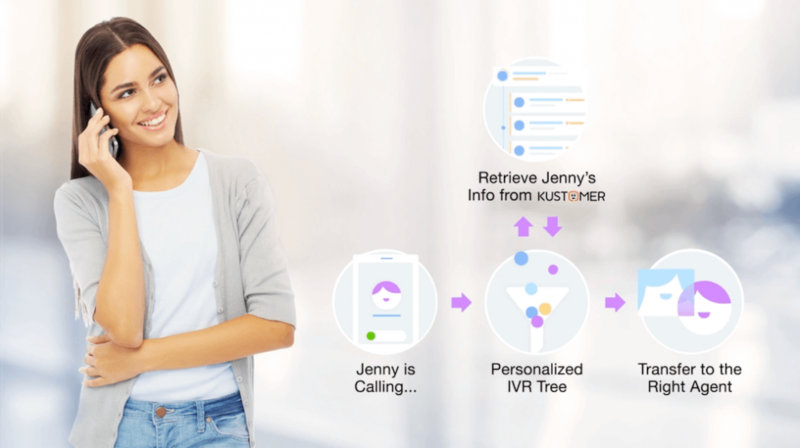 With Kustomer’s Amazon Connect integration, IVR can become more responsive and personalized than your customers ever imagined. 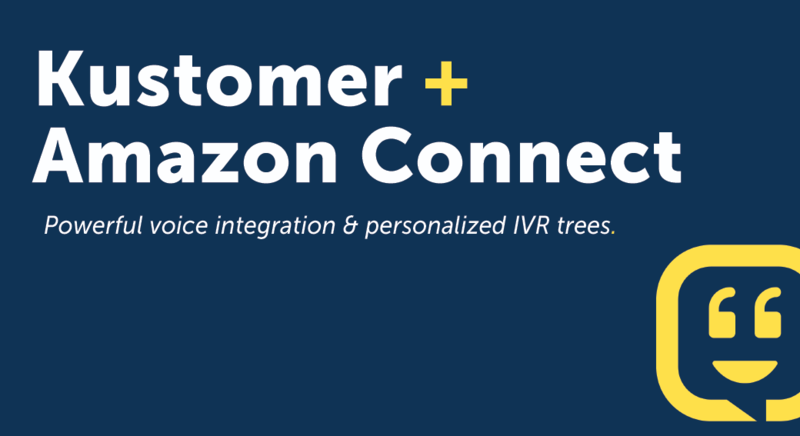 Because Amazon Connect’s IVR data-dips directly into Kustomer’s CRM database, contact centers of any size can easily customize their phone trees based on customer information. You can route customers based on their interaction history or previous issues, create a shortcut for VIPs or those affected by a specific outage, present different options for customers with open orders, and more. Consolidating all your platforms into one intuitive interface massively increases agent efficiency and improves the experience for your customers, because agents have all the information they need at their fingertips. Once agents accept a call from a customer, they can see the full timeline and history of whoever is calling in. Then the call recording and relevant data is automatically saved as part of the conversation, along with the agent’s notes, and agents can easily follow up over SMS, Email, Phone, Chat, and more. Kustomer and Amazon Connect provide the modern features omnichannel team managers expect. Amazon Connect is the only voice integration that syncs with the Kustomer router, giving managers the utmost flexibility in building and monitoring their queues. Kustomer includes reports and live dashboards, providing managers with a real, live look into the performance of their contact centers. That makes it easy to ensure the right agents are handling the right customers at the right time based on your needs over every channel. Our integration even takes into account whether blended agents are or are not on a call, pausing incoming messages when they’re on the phone so that your workloads are always properly managed. The Amazon Connect Enterprise Application is available today. For more information, visit our dedicated Amazon Connect integrations page, or sign up for our webinar on November 15th for a live demo with our product team.